Rollers include three subfamilies: true rollers, ground-rollers, and the cuckoo roller. The three groups are medium-sized, brightly colored, and fairly large, stocky birds with a short necks; broad, strong syndactylous (sin-DACK-tuh-lus) feet, merged toes with no web in between; rounded wings; and short tails, though some species have tail streamers, a longer, central tail part. Sexes are similar or identical in color, depending on species. Rollers are 9 to 20 inches (22 to 50 centimeters) long, and weigh between 2.8 and 8.8 ounces (80 and 250 grams). True rollers have plumage, feathers, of blue, blue-green, green, brown, or lilac, with olive, chestnut, or pink markings. Bills may be strong, arched, and hook-tipped, suited for grasping ground prey; or may be short and wide, suitable for catching flying insects. True rollers' wings are long and rounded, with tails that may be squared, slightly rounded, or somewhat forked, sometimes with longer outermost feathers. Ground-rollers are more brown, buff or black in the plumage. 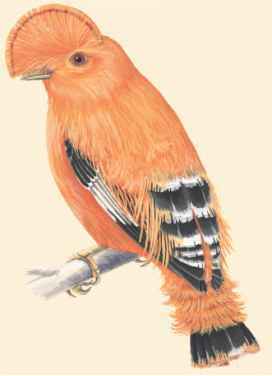 They have rufous (reddish) or dark-green upperparts, simply patterned underparts, and bold facial patterns. Ground-rollers have large heads, strong bills, heavy bodies, short, rounded wings, long legs, and pointed tails. Male cuckoo rollers are velvety gray; with a dark shiny green back, tail and wings; and a black eye stripe. Females and young birds are brown, with darker streaks.